Highland Park has had tremendous success with their Valhalla Collection, a series of single malt whiskies released every year to honor the many Norse gods which were revered in the Orkney Islands (where Highland Park is located). Previous entires in this collection include Thor and Loki which were much more focused on delivering a unique character rather than showing off the age of the spirit. This year’s release honors one of the Norse goddesses, Freya, the goddess most associated with love and fertility and believed to reign over the area of the Norse afterlife that’s a counterpart to Valhalla. Freya is also known for her brilliant feathered cloak which is also associated with the Northern Lights, something that’s common in traditionally Norse areas (which also explains the luminescent green bottle). Highland Park Freya Single Malt Whisky (51.2% ABV / 102.4 proof, $275) – Highland Park returns to higher proof for the Freya release (after taking a little bit of a detour with Loki) with a whisky that’s aged 15 years. Light gold in color, Freya is a lot lighter than the other Valhalla collection offerings and much paler than Highland Park’s traditional 15 year release. The nose on Freya is also lighter than the previous Valhalla Collection releases, with honey, pear, apricot, and a light heathery peat (which comes off much more earthy than smoky). 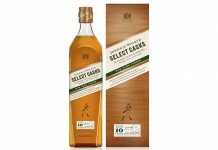 The honey from the nose leads the entry which has a fantastic mouth feel. Apricot and pear quickly join the honey to complete a nicely sweet and fruity opening. The sweet character of Freya is short-lived and in the midpalate Freya’s strength begins to show with solid oak spice, ginger, black pepper, clove, and salt. The heathery peat from the nose joins this mix of spices and here it appears as a subtle earthy smoke. Freya’s finish is centered around oak spice and is fairly dry, a stark counterpoint to its lush opening. Freya is quite reactive with water: with just a few drops, she opens up quite a bit with a much deeper complexity of flavor, especially in the midpalate. With a little water, the finish is still quite dry, but the spice flavors increase making it much more pleasant. We strongly recommend adding a few drops of water to Freya for the optimal drinking experience. Great whisky takes us on a journey, and like the other releases in Highland Park’s Valhalla Collection, Freya is a unique journey. Freya takes us from lush, soft fruit and honey through a symphony of spice to a very dry finish. Freya doesn’t taste like any other whisky we’ve had from Highland Park (or any other whisky company for that matter) – it has a distinct character that is uniquely Freya. As with other releases in the Valhalla Collection, Freya is priced with collectors and enthusiasts in mind. 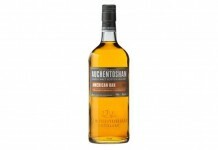 It’s not an inexpensive whisky, but again, Highland Park has done a superb job of delivering something special in an exceptional package. 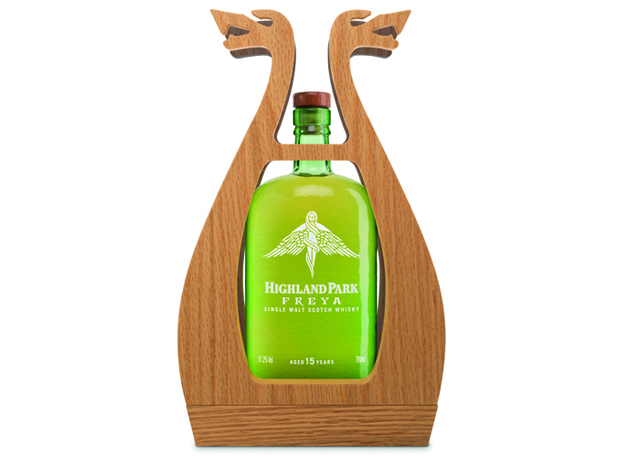 Highland Park Freya will be available in February 2014 in limited qualities with only a couple hundred cases in total for sale.